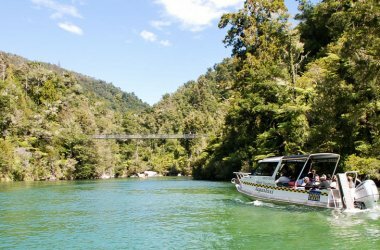 Water Taxi from Totaranui to either Bark Bay or Onetahuti then walk the scenic coastal track to Awaroa. 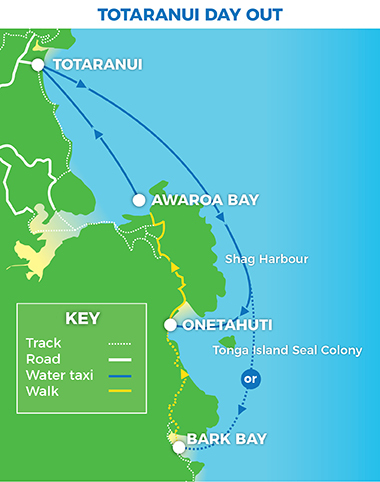 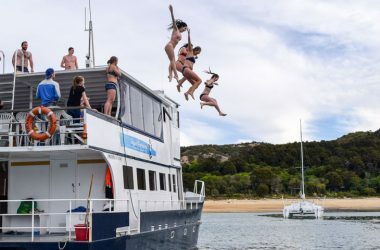 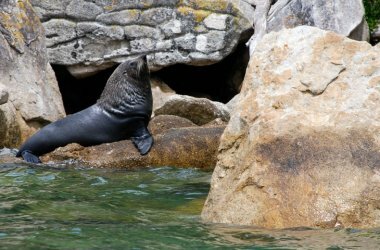 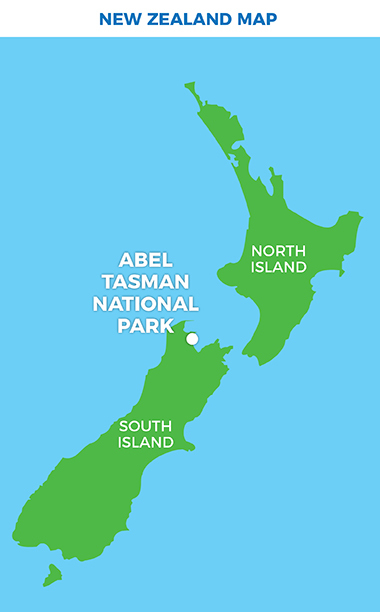 Cruise info: Totaranui to Bark Bay (or Onetahuti): 30 min (or 15 min). 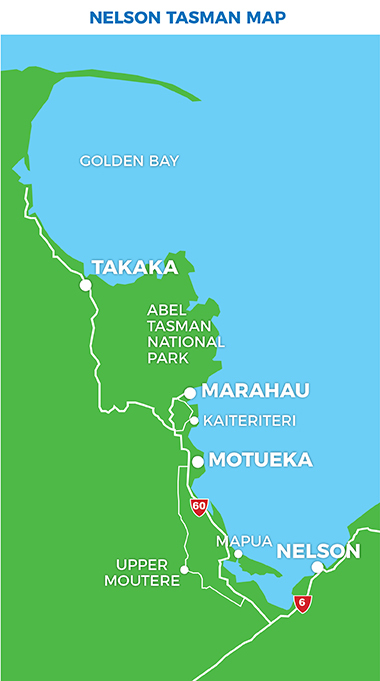 Awaroa to Totaranui 15 min. 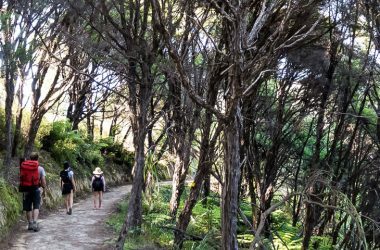 Experience a popular section of the Coastal Track. 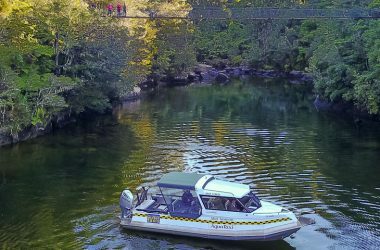 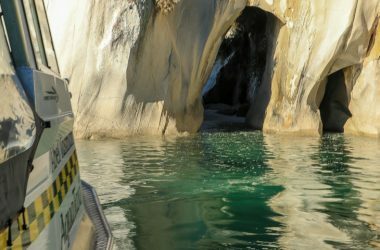 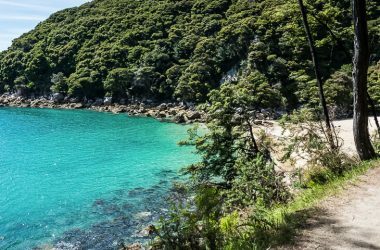 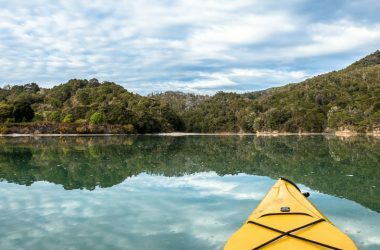 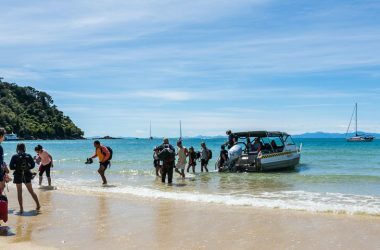 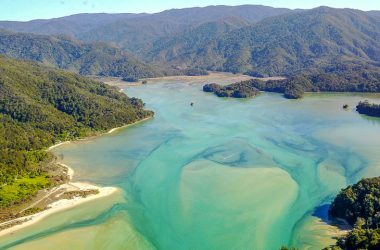 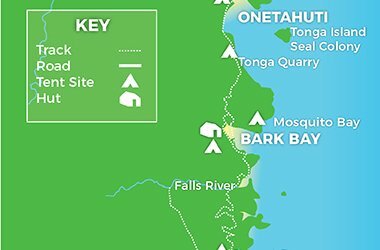 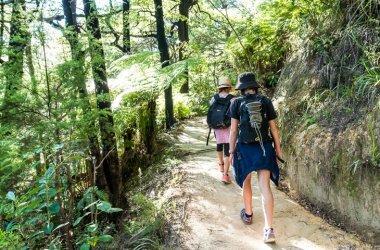 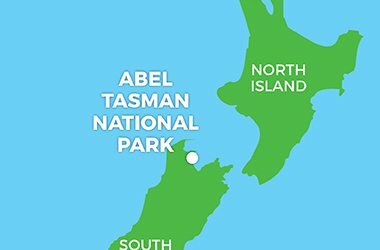 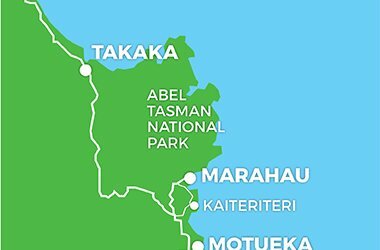 Catch a water taxi from Totaranui in the north of the Park to to either Bark Bay or Onetahuti then walk the scenic coastal track to Awaroa before catching your water taxi back to Totaranui.